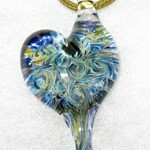 Join us for a special trunk show celebrating the amazing glass artistry of Tari Zarka. 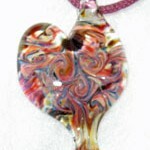 Learn more about the artist, her process and how she creates her beautiful glass jewelry. Shop the freshest works from Tari Zarka’s flame. We will have special all new inventory just for this trunk show. 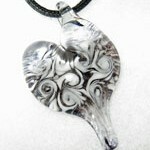 These pieces are sure to bring home the warmth! 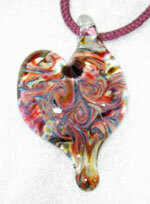 Surprise your Valentine with a handcrafted piece of glass art, or treat yourself. 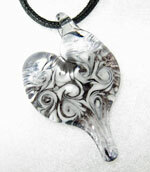 Shop February 8-9 and take advantage of our special sale: 10% off the marked price! We will be open our normal business hours during the trunk show: Tuesday-Friday from 10am – 5pm and Saturday 10am – 3pm. What drives me to create is what motivates me to be the best person I can be: mood enhancement. When I create something – whether it is a piece of glass, a painting, or a smile on someone’s face – my life’s burdens are lifted. 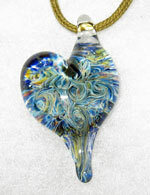 I am also driven by the knowledge that my creations enhance the moods of those who receive them. I find inspiration everywhere – in the glorious landscape, through the face of adversity, within the cashier at a convenience store, etc. Everything and everyone offers a chance for us to learn and grow. Ever since I started creating art in the far away corners of my family’s hosiery mill in Bucks County, I have searched to find ways to love what I do each and every day. If something from me inspires another to move toward a life of happiness then I feel that I have done my job. This is the current in my artistic evolution.